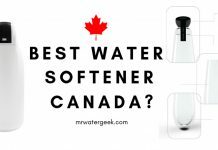 This salt free water softener consumer reports will help you decide if a salt free water softener is right for you. 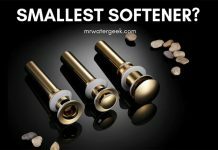 Water softener machines remove water hardness. The salt free softener process means that the minerals remain in the water, but the shape changes so that they do not Stick to the surfaces. 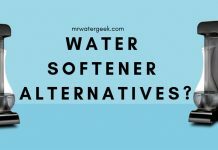 Salt free water softeners are not real softeners but “water conditioners”. In a salt free softener the water is processed through a catalytic filter using a physical process called Template Assisted Crystallization (TAC). What happens is the hard minerals are converted to a hardness crystal that can not stick to the pipe surfaces. 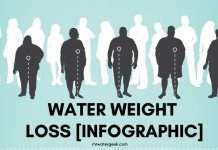 This is actually water conditioning, not softening. 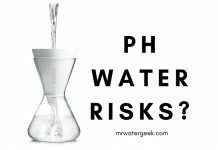 But it still produces soft water quality. Also, you will not need an electrical valve when using on a salt-free system. This is because the system works as a conditioner and never captures anything so there is no waste. 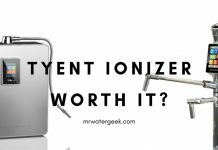 The salt of the traditional water softener removes minerals such as calcium and magnesium which cause hard water by ion exchange. The salt free water conditioner, on the other hand, stop crystals from sticking to the surfaces, so there is less scale build-up. The main advantage of a salt-free system is that it’s typically maintenance-free. Will not need any salt, sewage or chemicals. This means there are almost no on-going costs. You should consider salt-free softening technologies as long as you do not expect the same results as salt-based technologies. 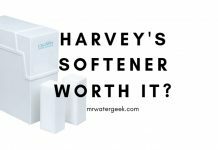 Also, salt-free systems can sometimes outperform salt-based softeners. 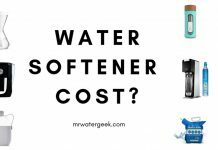 First, softener systems without salt are not true water softeners. 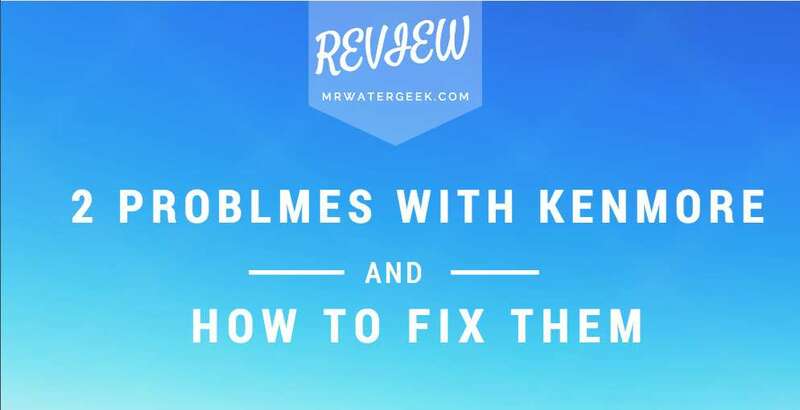 These systems are often referred to as “water conditioners” or “water descalers”. Salt-free systems can help reduce the accumulation of limescale. This is the calcareous substance that is seen in hard and dry waterholes, as well as other chemicals. 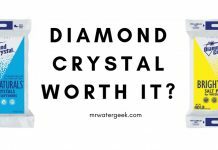 Salt-free water treatment systems change the chemical structure of water minerals. This is through the descaling process, preventing the depositing of solids in piping and fittings that use water. 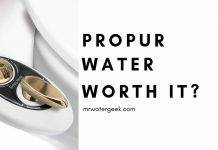 Water softeners mean there is better foam and less soap necessary. However, unsalted softening also leads to an improvement in soap usage and leaves behind less scum. 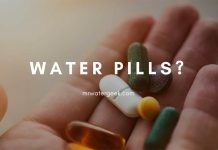 Salt softeners seem to produce a more slippery feel for water. Salt-free systems also reported to produce this but is a lot less. 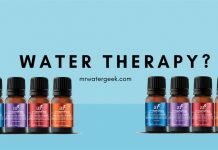 So this is better for people that want the effects of soft water without slippery water. 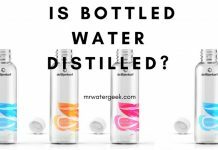 Traditional softened salt water is considered not safe to drink. This is because of the high salt sodium content. 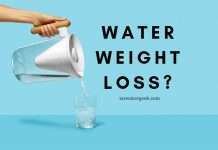 So if you are trying to reduce the amount of salt in your body then opt for a salt free water softener. Users of salt-free systems report benefits to their hair and skin. 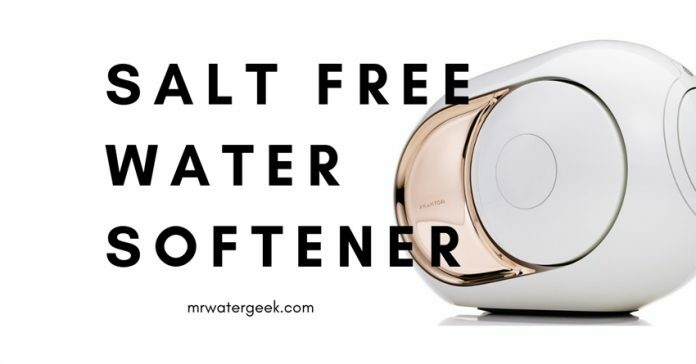 However, this can also be because salt free softeners also have filters. 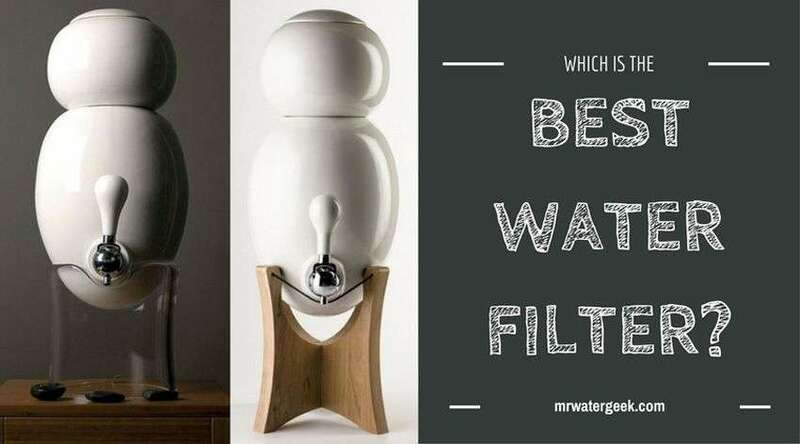 For instance, a ceramic or carbon filter can also reduce the “hardness” of the water without salt. 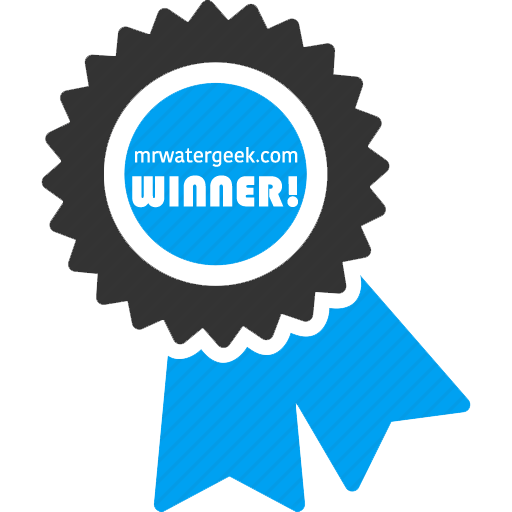 The modern salt free water softeners don’t need salt and almost no on-going maintenance unlike the traditional softeners. Almost no maintenance required. Just fit it and forget it. 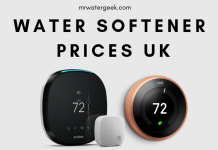 The new water softeners without salt do not require unnecessary regeneration or subsequent washing. 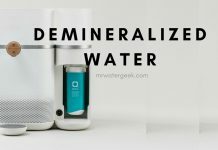 Water softeners without salt do not need electricity. 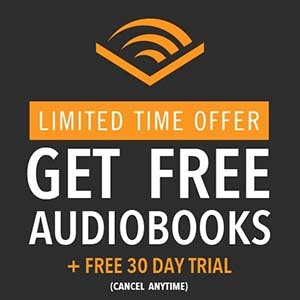 This is of great benefit to some as they can be used at remote locations. Traditional water softeners usually require an annual service, which is rarely free. Conventional water softeners can require electrical energy. This costs money, but also limits where it can be installed. 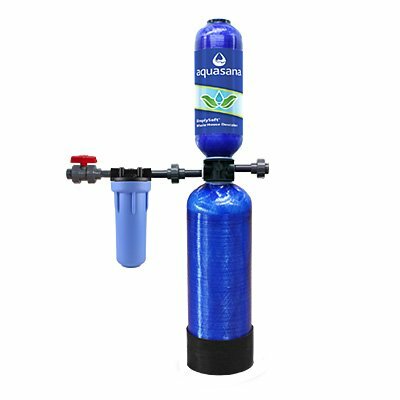 Traditional water softeners create wastewater (the average water removed with a regular softener is about 8 liters per day). Unfortunately, wastewater is not only expensive manage and treat but also harmful to the environment due to its high sodium / salt content. Conventional water softeners require large amounts of salt, which can be costly (typically at least $120 per year). Using salt means constantly transporting / loading heavy sacks of salt and of course the constant maintenance of the regular filling in the machine. The typical salt consumption is about 12 bags per year, but can easily be double or triple, depending on the hardness of the local water. Protect the indoor installation of your home from the detrimental effects of iron and debris. 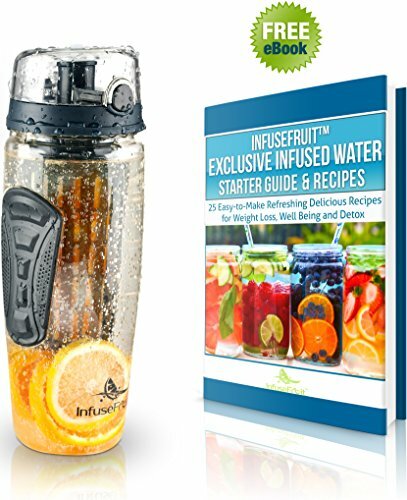 Entire health environmentally friendly effective solution. 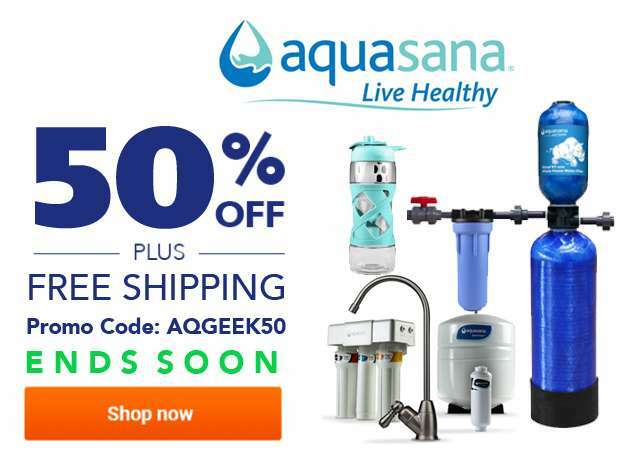 Aquasana SimplySoft is better than a fabric softener. 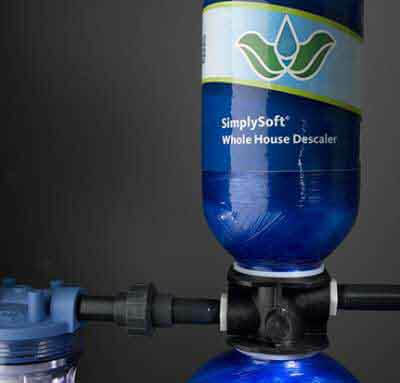 Unlike salt-based fabric softeners, SimplySoft will not demineralize your water through chemical removal of minerals or bring excess salt residue or chemicals into our environment. SCM’s salt-free descaling technology naturally and safely reduces the build-up of deposits in piping and piping without the use of salt or chemicals. Never reload heavy bags of salt. 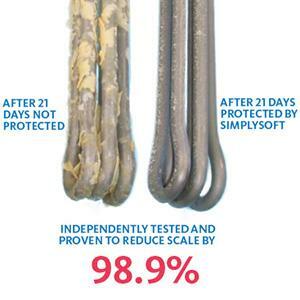 Durable systems are easy to replace and last for 6 years. 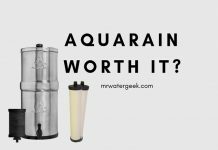 Aquasana SimplySoft requires no electricity, no wastewater discharge or a complicated salt exchange. 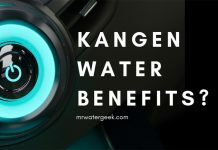 It softens water without using salt like traditional water softeners. 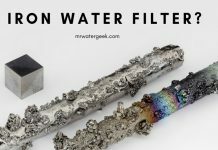 This is done with SCM (Scale Control Media) technology uses your home’s water flow to effectively prevent the build-up of scale by turning dissolved hard minerals into inactive, harmless, microscopic glass particles that pass harmlessly through the water into the drain. 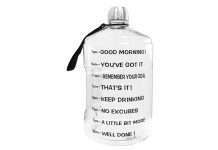 Lots of reviews from happy customers who report good customer service. 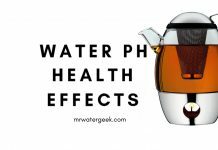 Effective soft water without salt. This also means that you don’t need to worry about buying heavy sacks of salt. They help to reduces the accumulation of existing scales and extends the life of pipes and equipment. 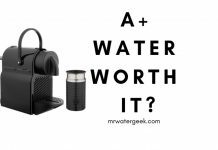 Yes, if you don’t suffer from severely hard water and don’t want to worry about on-going maintenance linked to using a water softener. 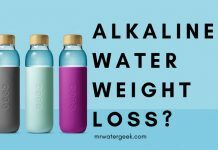 It is also good for people that are on a salt restricted diet. Salt fee systems typically don’t need electricity. They don’t produce sewage wastewater and they keep working without you needing to change the settings or monitor its progress. 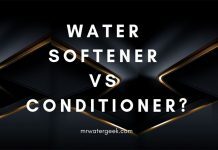 Getting a salt-free conditioner is also the way to go if you hate the “slippery” feeling that comes with using traditional water softeners. 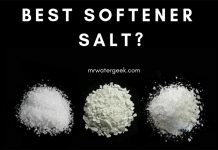 There are many salt free softeners that product similar or better effective soft water than results than salt-based softeners. However, there are many salt-free conditioners work that do not live up to the expectations. Therefore, it is important to only buy one that has numerous good customer reviews like SimplySoft. 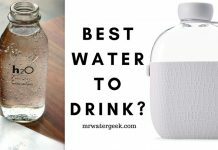 Previous articleAre Coffee Machine Water Filters WORTH IT?